Many of you will have heard that Facebook CEO Mark Zuckerberg had to give answers in the US senate on April 10. I got curious – is there anything that will change for advertisers now that Facebook is under public scrutiny? The company has recently announced 2 changes which will affect advertisers and how they can target people with ads. Despite the timing, Facebook said that these changes aren’t caused by the Cambridge Analytica scandal but a continued improvement of their privacy protection efforts. After all, the GDPR regulations are coming into effect this year, as well. This is the first step for Facebook in ensuring that the data for custom audience creation is responsibly sourced. For now, the new tool is still in construction and it remains unknown how complex the confirmation will be for advertisers. However, when uploading an email list to Facebook for ad targeting, make sure the people in the list have confirmed that they are OK with the info being used for advertising purposes. 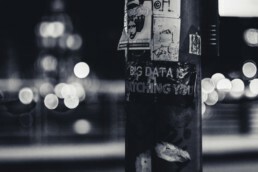 Currently, in the US, the UK, France and a few other countries, about half of the targeting categories are sourced from third-party data-mining companies. 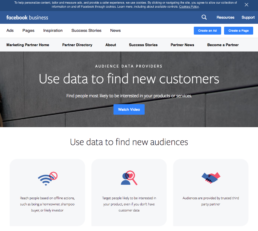 These targeting options are based on data gathered outside Facebook and anonymously used for creating certain audiences (such as, people in households likely to buy a type of car in the next 180 days). The phasing out will be completed worldwide on October 1, and May 25 in the EU, making it compliant to the new GDPR regulations. It is still unclear, though, what alternative options Facebook will provide the advertiser community. How do third-party targeting criteria work? 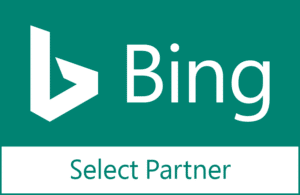 Third party data providers such as Datalogix, Epsilon, Acxiom, and BlueKai are also called data brokers. They compile offline and online data about individuals, things available in public records and information they buy from retailers, apps and other sources that people have given their data to. If a supermarket tracks your shopping habits through a loyalty card, the data can potentially end up at the hands of one of these companies (this can be restricted by the laws and regulations of your region). The company sells the info to Facebook, the data itself being anonymous but still possible to be linked back to individuals in the advertising process. Facebook third party data targeting has so far been available in the US, France, Germany, Brazil, the UK, Australia and Japan. There’s a third change as well, but it affects advertisers indirectly. Facebook is making it easier for users to see what data is collected about them, rolling out a new look for the settings page. This is just a small cosmetic change but it’s part of the company’s response to the concern over privacy. Lately, there has been a surge of articles on how and which kind of data is collected. Advertisers are affected, as well. As everyone becomes more aware, the overall dynamics of online advertising can evolve. Instead of cultivating passive receivers of info, the online world has always provided ways of engaged interaction. This will continue to challenge advertisers in the future, as they have to build relationships of trust with the users. Under Ad preferences you can manage advertisers who have uploaded lists to Facebook that include your contact info. There, you can also see your own interests (which can be insightful or inaccurate). My interests include, for example, a small province in Argentina I’ve actually never heard of. Also, from the settings page you can check out “apps and websites”. See which apps you’ve agreed to share your data with and manage them. Since I started work in PPC marketing, I’ve learned a lot about how information is collected, stored and used by online platforms. 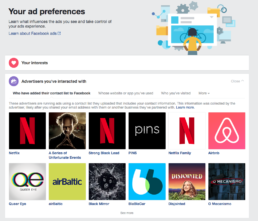 It has demystified the whole system for me as a user and I’ve chosen to opt out from a few things myself (like Facebook showing my profile picture to my friends when a page I like posts an ad). That’s why I’m happy for any changes that make the user experience more transparent and give more control over to users. I hope that in light of the recent scandal and the GDPR regulations, Facebook and other companies will work harder to make their users safe. I think that as advertisers, we can benefit from users gaining more knowledge and control, as it helps us build better relationships with our clients through ads.